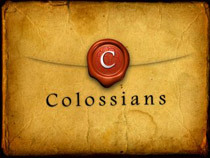 The Epistle to the Colossians. Although its authorship is disputed, the book takes the form of a letter from Paul to the church in Colossae. While traditionally attributed to Paul, disagreements exist among scholars because of issues such as language (48 words appear in Colossians that appear nowhere else in the Pauline corpus, 33 of these occur nowhere else in the N.T. ), style (This letter has a strong use of liturgical-hyminic style which is used nowhere else in Paul's work as extensively), and the presence or absence of characteristic Pauline concepts. However, the differences between these elements in this letter and one commonly considered the genuine work of Paul (e.g. 1 Thessalonians) are explained by advocates of Pauline authorship by human variability, and the apparent use of an amanuensis in composition. Paul's authorship is also confirmed by many of the church's early key figures such as Irenaeus, Clement of Alexandria, Tertullian, Origen, and Eusebius, though most of these references are much later than Paul, and several of them have proved unreliable for other identifications. It has also been suggested that the epistle was co-authored by Paul's "apprentice," Timothy (Colossians 1:1). This might be one of the causes for so much controversy over authorship. Like some of his other epistles (e.g., those to Corinth), this seems to have been written in consequence of information which had been conveyed to him of the internal state of the church there by Epaphras (1:4-8). Its object was to counteract false teaching. A large part of it is directed against certain speculatists who attempted to combine the doctrines of Eastern mysticism and asceticism with Christianity, thereby promising believers enjoyment of a higher spiritual life and a deeper insight into the world of spirits. Paul argues against such teaching, showing that in Christ they had all things. He sets forth the majesty of his redemption. The mention of the "new moon" and "Sabbath days" (2:16) shows that Gnostic ascetics were judging the body of Christ for "eating and drinking" and observing the "feasts, New Moons, and Sabbaths." In response, Paul commands the saints to "let no one judge you...but the body of Christ," i.e. the Church itself, which was observing these biblical holy days (Matt. 5:17-19; Rom. 3:31). Paul focuses much of his epistle to the Colossians in combating the teachings of the early Gnostic sects, particularly ascetics (see Col. 2:4-23).